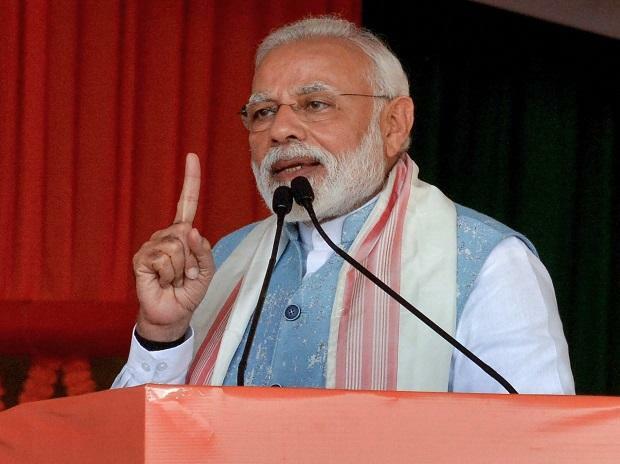 Prime Minister Narendra Modi today laid the foundation of the flagship Bundelkhand Defence Industrial Corridor in Jhansi district of Uttar Pradesh, which is expected to attract investment of Rs 20,000 crore. The Defence Corridor consists of various infrastructure projects totalling over Rs 40,000 crore in the arid Bundelkhand region, which were either inaugurated or witnessed their foundation laying by Modi. The PM had announced the development of the Corridor after inaugurating UP Investors Summit in Lucknow on 21 February, 2018. The mega infra would span 6 nodes at Aligarh, Agra, Jhansi, Kanpur, Lucknow and Chitrakoot and create 250,000 job opportunities. So far, memorandums of understanding (MoU) worth Rs 4,000 crore have already been signed with public and private sector companies for the Corridor. “Big investors have evinced interest in the Corridor. Not only Indian but foreign companies are also willing to set up their units here for manufacturing defence related items,” the PM said at the ceremony. The Yogi Adityanath government has already identified about 5,000 hectares for the Corridor. Earlier, the Centre had de-licensed 275 defence wares and encouraged private manufacturers for such supplies by competing with the public sector undertakings (PSU). These items have been clubbed as ‘non-core items’ of Ordnance Factory Board (OFB). The army can float tenders, in which both the private sector and OFB can participate. India is the world’s largest military hardware importer and among top 5 military spenders. To meet modernisation needs of the armed forces, India will acquire equipment worth US$ 250 billion by 2027, however, the current delivery capacity of the domestic defence sector is merely US$ 75-80 billion annually, indicating huge potential for the indigenous industry. Meanwhile, the water pipeline project is estimated to cost more than Rs 9,000 crore, while other projects witnessing inauguration or foundation laying pertained to railway line, rail coach unit etc.